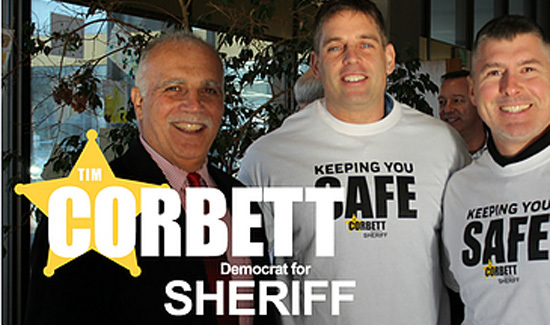 In Indiana, Tim Corbett is running for sheriff in the May 8 Democratic primary election for St. Joseph County. Supporters say that the issue of the “police tapes,” is being used to malign Corbett and that this is all about politics. It’s always weird when people say that because the sheriff is a politician that holds elected office. The “police tapes” according to the South Bend Tribune involve recorded conversations that Corbett took part in without their knowledge. 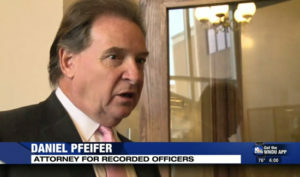 “Corbett was among a group of South Bend officers secretly recorded on police phone lines in 2010 and 2011 — possibly in violation of federal wiretap laws — allegedly discussing their participation in illegal and/or unethical behavior, and allegedly using racist language,” according to the paper. Most police supporters that back Corbett for office are former law enforcement officials and most say they think this is some kind of drive-by ‘hit-job’ by the liberal media. The courts agreed with former Chief Hurley. The cops that were audio taped won judgements in court. Then again, do did the cops that authorized the recordings after they got demoted or fired. So that hardly clears anything up at all. So will the tapes be the end of Corbett’s electoral victory should people hear what’s on them?